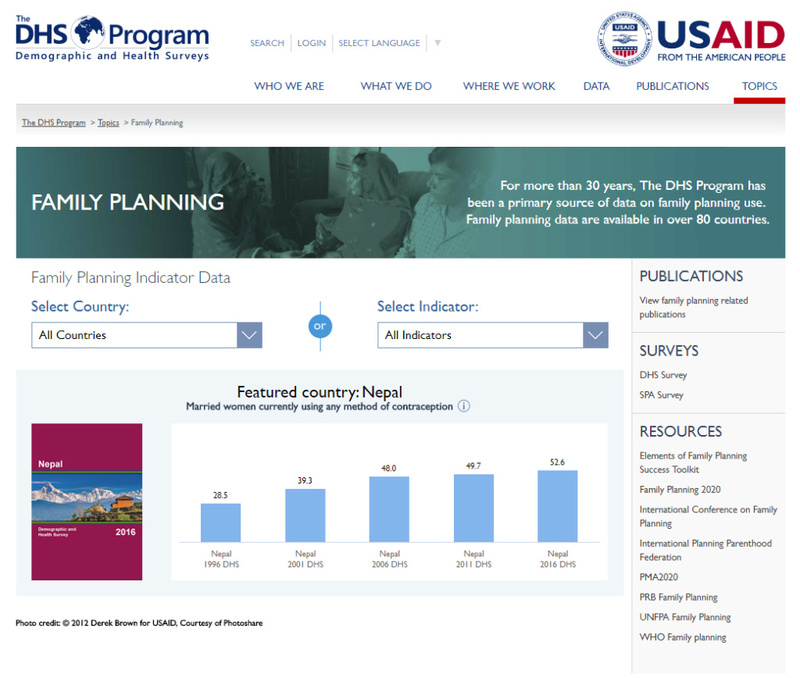 Blue Raster is a long term partner of USAID funded The DHS Program – since 2009 we have collaborated on and created such tools as STATcompiler, Spatial Data Repository, The DHS Program Mobile app, The DHS Program API and the central communications hub: DHSProgram.com. 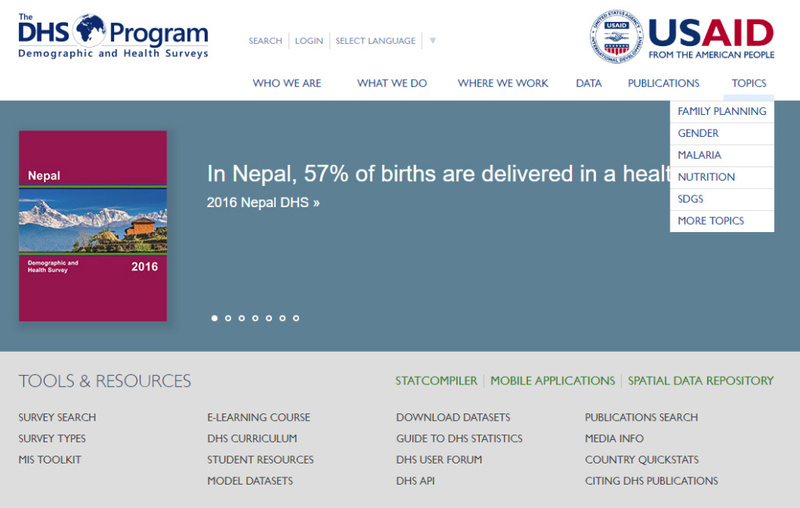 The DHS Program API already powers the STATcompiler, Mobile App and SDR- and now you can visualize the indicator data that the API provides on DHSProgram.com as well. 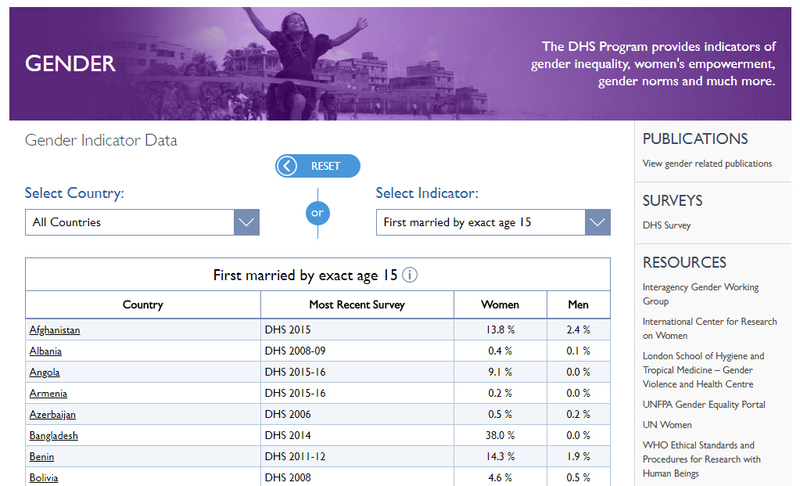 Some Topics pages, such as Gender, allow users to easily compare certain indicators side by side in a table- new functionality specific to the Topics pages. 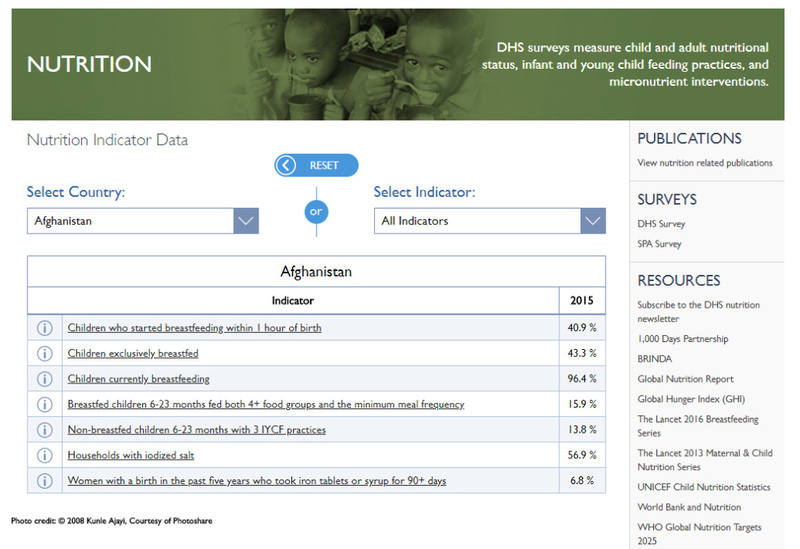 Handy links to contextual information are provided in the page sidebars. 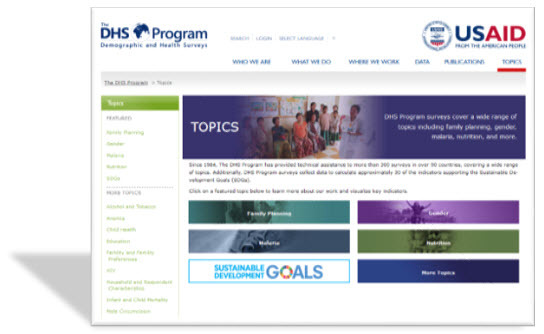 More topics pages are on the way…see this post by The DHS Program and you can help decide what comes next!